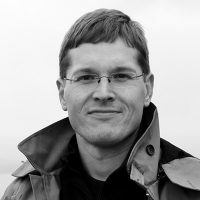 Timo Jarvensivu is a researcher and project manager at the Aalto University School of Economics, Finland. He has a PhD from the Helsinki School of Economics. Researcher and project manager at the Aalto University School of Economics, Finland. He has a PhD from the Helsinki School of Economics. Humanity is facing an undeniable challenge. Economic growth is necessary to sustain the welfare state, but this growth is more unsustainable than ever before. It’s not at all clear how this paradox – the need for economic growth that is unsustainable – can be resolved.